White papers establish your brand as an expert in a given field or on a specific topic, boosting credibility and demonstrating thought leadership, as they are effectively persuasive essays. White papers are ideal as part of a any sales strategy. Truly a cornerstone of lead generation, white papers are an oft-overlooked segment of the conversion funnel, yet data shows a majority of marketers cite white papers are a top source of lead generation. Topics are generated by client request, or suggested by their dedicated content marketing strategist. When generating topics, Brafton strategists use hard data to determine what problems your target audience is asking about and provide innovative solutions to those problems. Your Brafton content writers will work in conjunction with your strategist and project manager to map out the white paper as it relates to your audience and commercial goals. After receiving approval on an outline, your writer will thoroughly research the topic, surveying existing data, commentary and analysis from trusted sources, which often include clients’ internal subject matter experts. A first draft will be submitted, at which point all edits and feedback will be incorporated into the white paper. Once the text has been approved, your white paper will be formatted by Brafton graphic designers, who will implement your brand color schemes, logos, fonts and other design preferences, such as photography, icons, graphs or charts. The white paper will once again be submitted for approval, and any edits will be applied. Brafton can also assist in leveraging your finished white paper as a lead generation tool via Arch, a proprietary service and technology that enables the creation of landing pages featuring form fills to access the white paper that will live on your website. Arch allow allows you to embed targeted in-line CTAs in relevant blog posts to drive visitors to your downloadable white paper. Brafton can also provide guidance or manage email distribution strategies for white paper asset launches. 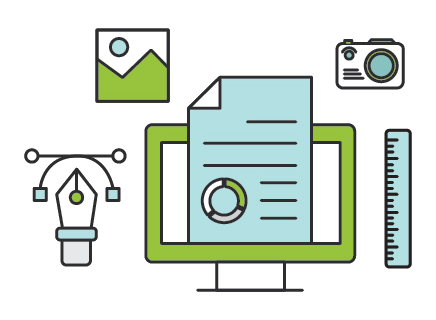 Brafton’s white papers augment your blog and integrates to your overall content marketing strategy, ensuring that your business turns readers into leads, and leads into customers.